Environment – Two Rights Attempting To Make A Left! A recap of 2013 and it is behind us! On with a brighter, healthier year! Have a healthy, safe 2014 everyone! 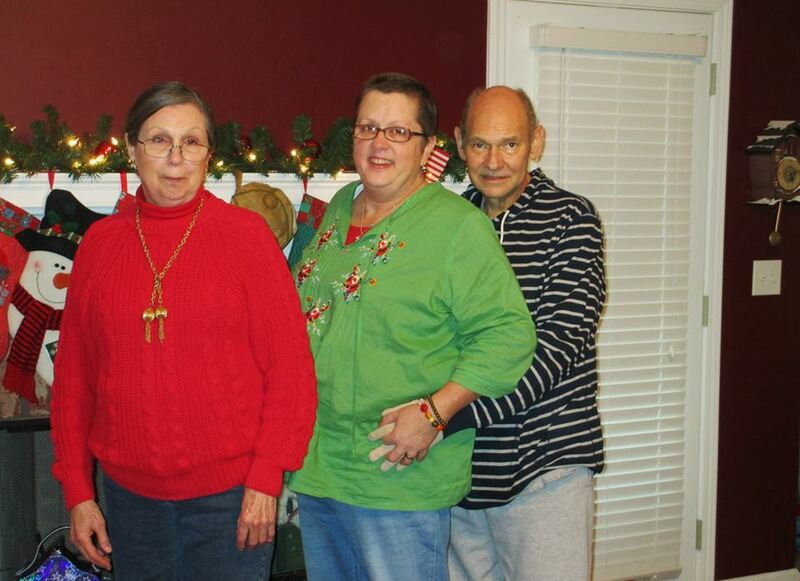 Photo taken Friday, December 27, 2013 at my sister’s house! Aren’t we lovely? 2/21- mammogram, ultrasound, biopsy completed.MRI Scheduled. 3/4- DCIS diagnosis (breast cancer) received and surgery scheduled. 5/6-appointment with Medical Oncologist to discuss options. Lab work to determine type of chemotherapy/radiation needed. 7/24-meeting with Hospice, Pop admitted to Hospice. 12/5-last radiation treatment completed prior to Barry’s admission. Admitted to Saint Joseph’s Hospital in preparation for surgery on 12/9. 12/17-discharged home from the hospital after surgery.